Come smell the money. Mask optional. We are pleased to present the immensely-popular 2019 Spring edition of the RehabLab Bus Tour, a full-day event that is jam-packed with everything that you would ever want to know about rehabbing. You get to visit - as in see, touch (and smell!) actual properties in various stages of the rehab process, and we'll hear from the people involved. Along the way, we'll be analyzing the deals, looking at numbers - projected and actual - and determining if it is (or was) a good deal, a marginal deal, or an uh-oh. You will learn how numbers may differ depending on your targeted outcome, such as wholesale, whole-tail, rehab, or hold. And while the focus of this workshop is on rehab, those techniques form the basis for pretty much everything else that you would like to do. Warning! If you're adverse to drinking from a fire hose, you should approach this workshop carefully. You will get trained on all the ins and outs of this process, and it's up to you to take in as much as you can. So get on the ball and get your seat saved so YOU can be on the bus with us! In the morning classroom, we'll outline what it takes to fix a house right in 2019, how things have changed in the last year, and what items are still a must-do for rehabbers. We will cover (1) Finding Deals, (2) Analyzing deals, (3) Working with Contractors, and (4) Open Q & A session. Properties we will visit are a work in progress, so please dress for the weather, be prepared to get on and off the bus and in and out of the houses on the tour. We'll break down the repair process using the exact forms we and our coaching students use to evaluate deals. This is hands-on training for real estate investors at its best. Come learn what it takes and enhance your analysis skills. You'll use the forms we use. 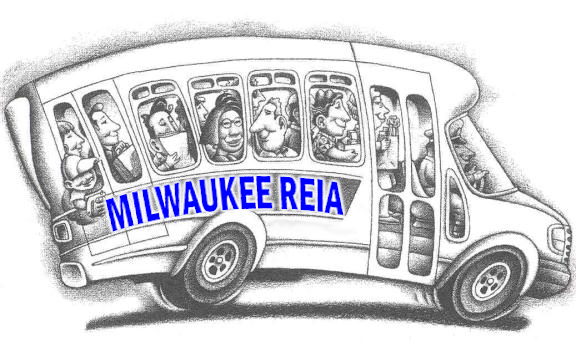 PLEASE NOTE - If you are unable to register because it says "FULL", please send an email to admin@milwaukeereia.com to be put on our wait list. This event is limited to the first 40 people. - Only 1 seat left.